Toilet paper oil filters were a big aftermarket item "back in the day". You can still buy 'em new. GOOGLE will show you an endless variety of them. Yuck, that is dirty, not poo but old oil. That was a popular thing years ago,but not the thing to do now.Reason is years ago toilet paper was made out of junk wood,and pretty tough stuff.Now it is biodegradable,and it actually turns to pulp in your engine.The first time I saw it happen was on an old Chevy wrecker.Most of the roll was just gone,and what was left was mush.It didn't seem to do any harm,but there was no residue in the oil when we drained it.He changed his oil once a week for a couple of months,then just kind of forgot about it. Also back in the day, the filters were not full flow,if the filter plugged itself, nobody knew it. (quoted from post at 18:40:53 01/05/19) Also back in the day, the filters were not full flow,if the filter plugged itself, nobody knew it. That right there is the key to it. With a bypass system no-one knew whether it took four months or four days for it to plug. With TP filter, they didn't simply stick a roll in place of the original filter in the original canister. 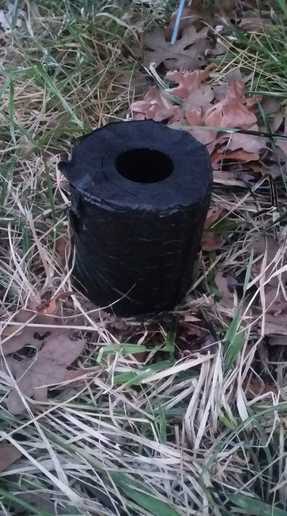 The company that did that had a special canister so as to route the oil thru the roll, etc. It did not go in place of any full flow filter but was an add on bypass filter. Not as simple as this thread seems to portray. Effectiveness? Not for me to say. It would work but isn't strong enough. I would think the bits of toilet paper going into the engine would be worse than not using a filter at all. Think of the sludge in the engine embedded with paper. If you overhauled the engine you would probably have to use a hammer and chisel to get the sludge out before having it vatted. Quite a few vehicles of that era did not have oil filters. The "Frantz" company made those aftermarket units. be used then. They are more a novelty now than anything. tended to filter out some of the additives"
The same thing has been said about Luberfiner and other "bypass oil filters". Yet, they are used to this day. problem of paper from getting into bearings. their specifications otherwise using their guidelines for choice of paper roll worked very well also. Like one old farmer said once "there isn't anything made that can't be abused"
as now... if you misrepresent anything heckling works.